ErtelAlsop offers Model EA 800 and 1000 Series Filter Press Systems for use in a wide variety of applications. Supplied with lightweight, economical polypropylene plates, these filters are ideal for processes that require 10-50 cubic feet of solids handling. 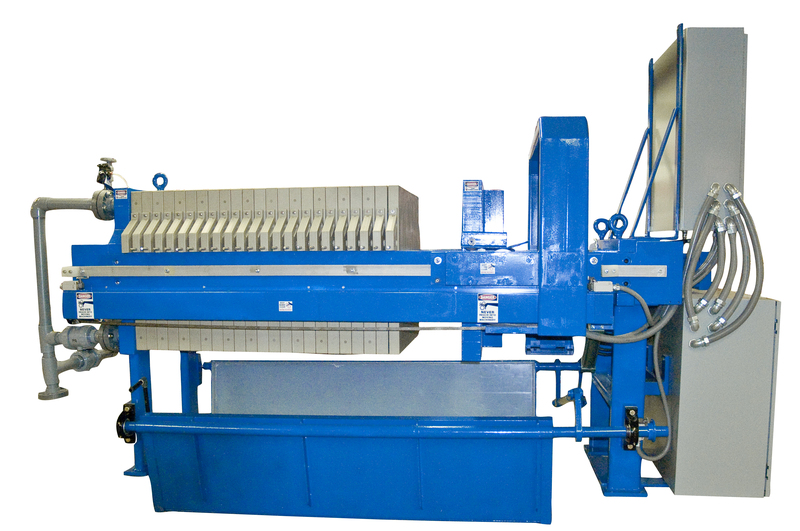 As with all ErtelAlsop plate and frame filter press models, filter cloth and optional features are available for any application and/or operating environment.